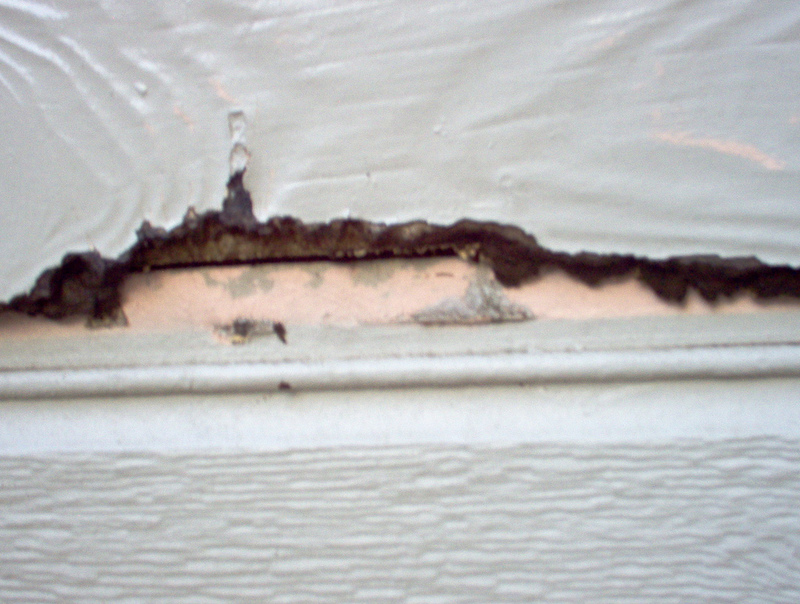 Photos documenting extensive mold growth in the HVAC system, walls, appliances, etc., and the lack of maintenance and inferior repair work resulting in constant water intrusion and continued mold growth and damage. There is a tremendous amount of mold infestation that has been growing through out these buildings and in the HVAC systems for years. The buildings were partially built then left unfinished in the elements for a couple of years before completion about 15 years ago. These photographs were taken 2 – 4 months after we moved in. In 3 months, the air vents were covered with growth. The air vents had been painted over. The air ducts and dryer vents are cleaned often at the complex. It was summer and with the temperature in the upper 90’s with high humidity, the air conditioner had to stay on. These conditions were perfect for the molds to sporulate. We had never been in or experienced a building and HVAC system infested with molds and since it had been purposely concealed, until it started growing more we did not know what that was like or what was happening. There was a dry type of mold coming from the vents along with a wet sticky black type that accumulated on everything in the apartment and even in the closets where there were no vents. We were inhaling all this and since it was covering everything, it was also entering us through food and just by touching things (especially the baby). Right before we left (4 months later), a neighbor walked in the apartment for a few minutes then came back over 10 minutes later to tell me her eyes were burning. This mold continued to consume items made of natural substances for months after we left and everything had to be put in climate controlled storage. We could not go through these things without it causing our eyes to burn and feeling sick. This was not something that would not be noticed. Riverstone Residential management tells people this mold on their vents is dust and have the ducts cleaned out. We were insisting that the apartment be tested as was our legal right to do. The maintenance man became so furious he came and pounded on our door and said “You don’t know who owns this place do you”. This was a few minutes before the mold testing company they use (they have been there before) was coming in to test. Not that they called and told us they were coming. The manager changed the testing procedure from a tape lift, air sample and visual inspection that is more accurate and would show the high level of molds (not to mention a visual inspection), to an air sample with results in 24 hours. I’m sure this fools some people but I had been informed by another company I called that mold will need at the very least 48 hours to present. They use this 24 hour test to say mold levels are consistent with levels outside. This is not accurate. Our more extensive testing shows several known toxin producing molds and above outside levels. It didn’t take a test to tell us that, the mold was so thick and damp in the air you could smell different odors from the different types. Even with two mold inspection reports, mine in 2005 and a 2007 report (done during a sale of these apartments) along with the number of duct cleanings done there, and covering up mold with paint, Riverstone Residential denies knowing of any mold in these buildings. There is enough evidence to show that they do. Riverstone along with the owners and now the Louisiana Housing Finance Agency know and have known about the mold in these apartments. This is not new, it has been steadily growing for years. They allowed us and others to move into these apartments therefore criminally exposing us to high levels of known toxins. They have arranged in various ways for all this to not get into court so far and my attorney has helped with that. I guess they believe this will go away. It was bad enough they did this to us and still are to others but the worst thing is they allowed a one year old baby to continuously breath in toxins and crawl and play on carpet that was being saturated with wet sticky mold. And it continues, there are people living there now and others will be allowed to move in. The toxins in these apartments can and will affect even healthy people and there are an infinite number of other minor to serious conditions that would make the health affects of this exposure worse (we know). There is no question the high levels of these toxins are definitely more dangerous to babies and children. 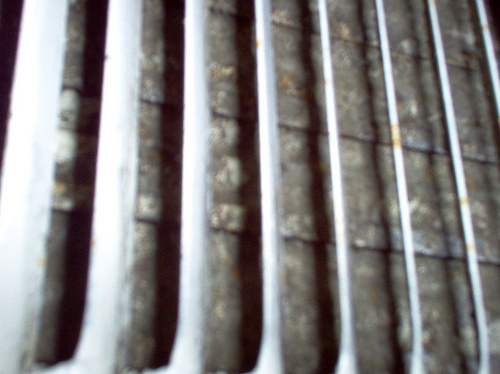 Mold growth on air vent after only 3 months! “REPORTS OF A LEAK ARE TO BE TREATED LIKE A FIRE”!!! I pulled the refrigerator out from the wall because I noticed something on the baseboard between the cabinet and refrigerator I had not seen before. The wall was falling apart behind the refrigerator. This is actually how it is when the apartment is leased!!! The mold is creeping along the baseboard but has also grown on the hose leading to the back of the refrigerator and is destroying it too. These are the gloves I used to pick up and pack things to move out of the toxic apartment at Jefferson Lakes. 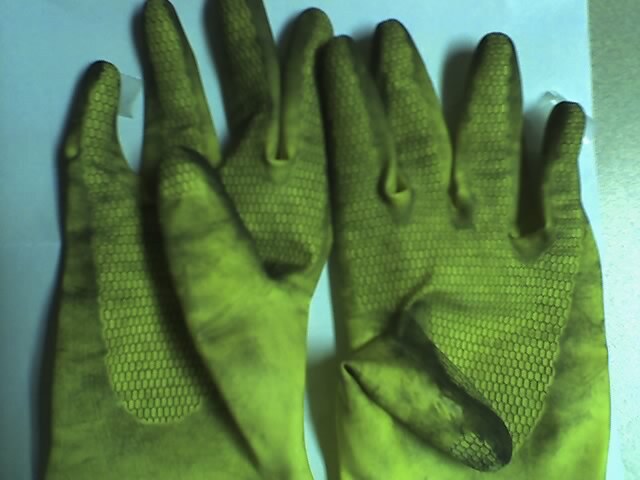 I was not picking up things that should have had a sticky black residue on them and I was not trying to rub any off – in fact I did not even want to touch anything with the gloves ON. But since I was inhaling it in large quantities anyway it does not really matter. This is the mold that had covered everything we had in the apartment after just 4 months. This is not dust. This is on everything after wiping off any dust. It grows on metals and even gets in jewelry and it starts consuming items made of wood, paper etc. People too. 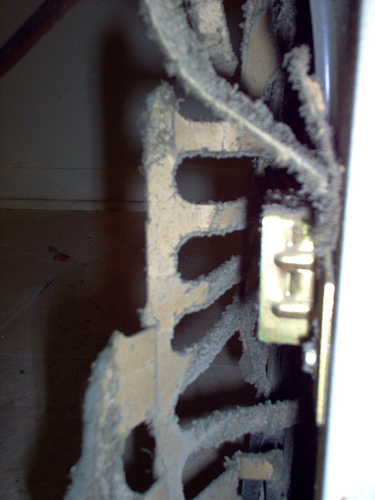 This is the sticky mold that was on the coat hangers in the closets even though air vents are not in the closets. This is the black residue that would wash out of our hair in the shower (yes – you could see the black residue in the water). This is the black mold the baby was breathing, touching, and eating and drinking since it was on his baby bottles and the toys he put in his mouth. This is the mold that is still in us. This is an extreme amount of mold and Riverstone Residential knew about this in 2005 and again in 2007 mold reports along with the Louisiana Housing Finance Agency. They continue to lease these apartments. Our litigation against them for poisoning us (how could they do that to a baby and still be allowed to poison more) is very obviously being manipulated by these unethical, greedy people and others – the Louisiana Housing Finance Agency which knows about the toxins in the apartments along with Riverstone Residential and the State of Louisiana and the judicial system there that allows and ignores this. They must either have some business and investments connecting them or they are just spineless, souless cowards and puppets. Probably business and investment partners. What allowing this to continue says is that no matter how much evidence or harm – victims of these people (who think they are MORE important and who can pay for that importance) – have no rights. Allowing this to continue says that the money made leasing these toxic apartments is more important than we are and the others who lived there before, live there now, and will live there. That is what this all comes down to if it continues to be ignored. Understanding this has almost become more horrible, devastating, and stressful than being exposed to all the toxins we have in us. An anonymous tenant sent these photos of mold growth on the inside of the windows of these extremely infested apartments. Mold has been growing in the HAVC system, walls, etc. for years. 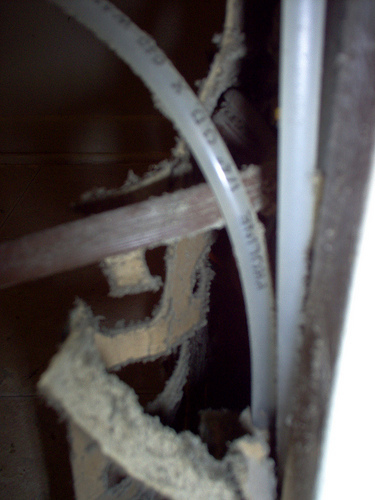 One photo is of mold growth in the apartment leasesd to us four years ago (#2907). 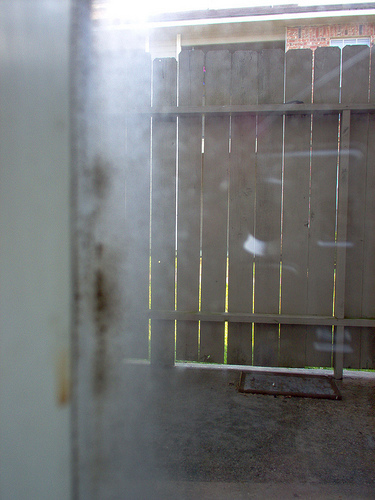 There is a picture I took of the mold growth on the patio window when we where there on this page – photos of mold in apt. The current photo is of the window in an upstairs bathroom. That bedroom was the room where we first noticed a moldy smell. This is new mold growth since we were there. I had noticed a black mold growth and also a white to yellow color on the inside of apartment windows when out walking the dog. Until this place, I have never seen mold growing on the inside window panes and it still remains the only place I have seen this. Since mold inspection reports and obvious mold infestation are ignored, Riverstone Residential and the Louisiana Housing Finance Agency welcomes anyone who would like to inquire about leasing one of these apartments – however you will not be informed of the dangerous and serious health consequences that can occur once exposed to the 24/7 inhalation of toxins via the mold infested HVAC system. 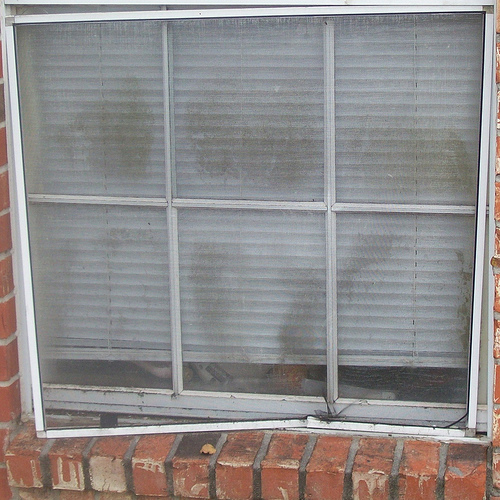 Before publishing these photos, I had to verify that the mold was actually growing on the inside and not on the window screen or the outside of the windows as it may appear. Windows were viewed – some as close as a few inches and if no srceen – touched – IT IS INSIDE. 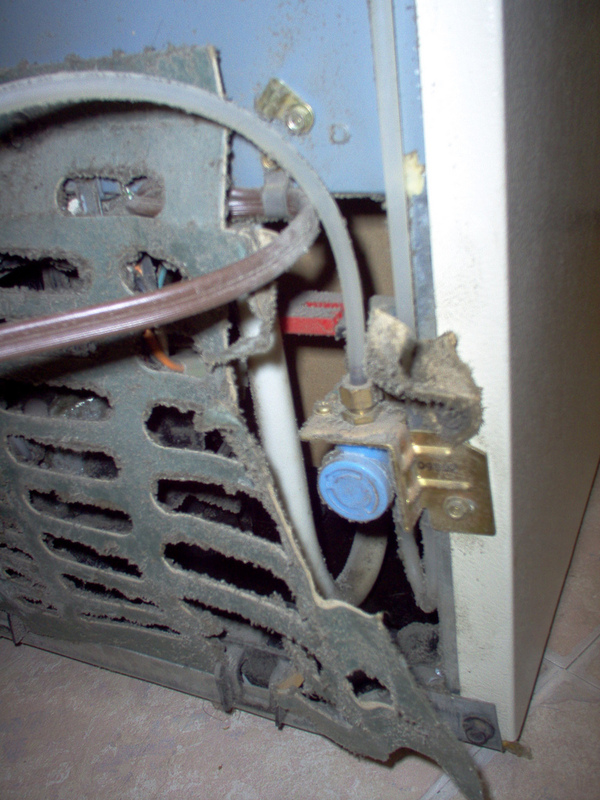 Mold inspection reports show mold in many units (including HVAC). 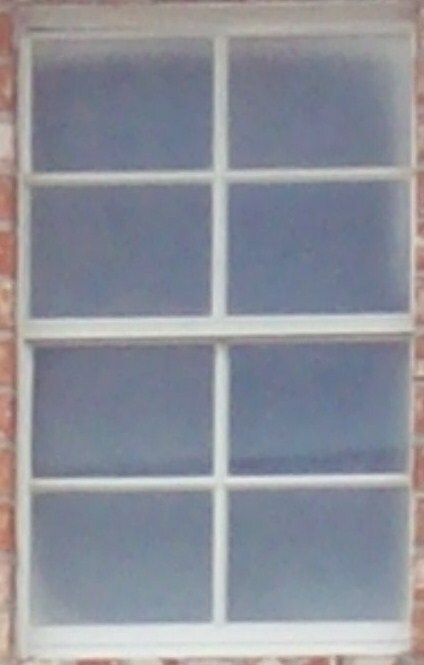 Windows like these are common at the complex. 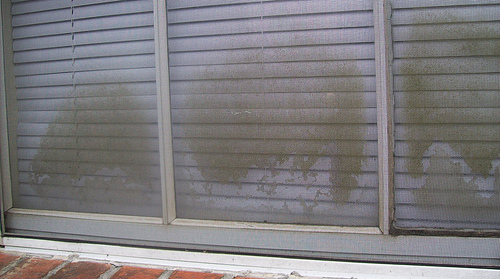 The window screens and the outside of the windows in the first two photos have nothing on them – all the mold growth is on the inside. The third window had no screen. The last photo is the window of unit 2907. 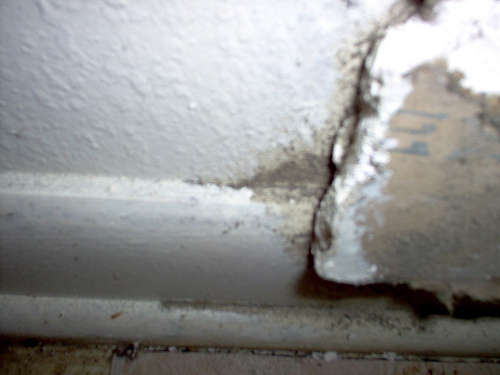 A white-yellowish mold is growing around the edge. Been in my apartment for less than 2 years. Have been sick the entire time with breathing issues. Also noticed a bad odor like food going bad everytime I would come home from work or whenever the heat/ac would come on. Got so sick I finally had to quit my job because I had no energy to get up in the morning. I could barely lift my legs out of the bed. Suffered bad migraines, nausea, vertigo. loss of appetite, cysts, skin breakouts etc.. Informed the landlord about the smell and mold. He did nothing until the ac unit finally died and he had no choice but to replace it but he said that was all he could do. The issue was a moldy wall that the vents and ac unit was placed into. The mold in the apartments was so bad you could smell it in the walls and floors. The bad smell and feeling sick continued even after the unit was replaced. Even when the unit was turned off the smell was still there. My landlord washed his hands of everything and would do nothing. I paid money to have the vents cleaned, mold fogged the condo, tried an expensive ozone machine, chemical air cleaners, you name it I have tried it NOTHING WORKED!!!! Finally after waking up nauseous from the smell again one morning, I decided to just close off the entire vent system including return air vent and stop using the system. I covered all of the vents completely. To my surprise, the smell disappeared immediately, my breathing cleared up all within the hour of doing this. I am moving soon and in the meantime, I refuse to use the central air/heat, I am using portable heaters. This is the best I have felt since I moved in and my apartment finally smells like a clean place. If you smell mold please have your central ac/heat ventilation system checked out. If the odor doesn’t go away after being cleaned, service etc.. If you are renting I would just move. Nothing is worth you or your families health. Join Sickbuildings@yahoogroups.com It has over 3000 members. Most have been thru similar experiences to yours. Best of success finding your way. I moved into a house, landlords rigged up flex duct and used old parts when roof was replaced due to leak. HORRIBLE mold everywhere. 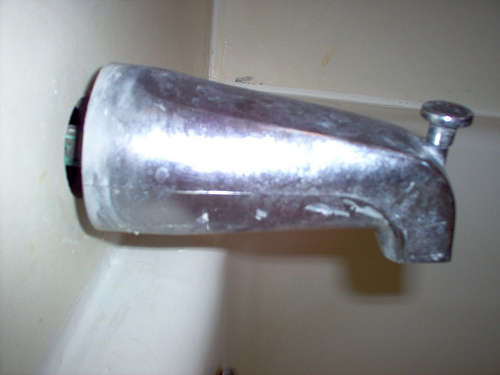 Still leaks in walls one from hot water heater tank(pics). Kids and us got sick. We’ve had sinus infection for over a year, breathing my newborn was on an apnea monitor till we moved unknown why by ARKANSAS CHILDREN’S HOSPITAL. Both kids are disabled due to delays also unexplained. motor skills, cognitive. ect. CT in april 2014 i got a diagnosis of partial opacification of left sinus impression sphenoid sinusitis. http://s26.postimg.org/6rgd2j8xl/Ct_Partial_opacification_left_sphenoid_Sphenoid.jpg Neuro says i’m fine on mri however i see clearly thrombosis but am NOT a dr. Just a worried mom. I ate the mold to further my point (march) as noone took the mold seriously. my children are sick and this is was in March we discovered that mold was bad. We were fine before that house. Kids have an appt with children’s hospital immunology in AUGUST. I know it wasn’t smart, i didn’t know it would do that but as a desperate mom trying to help her kids i thought if i showed mycotixns in my blood, they would listen. I had seizures for 2 days am now on kepra. I didn’t know it would do that. Did NOT tell neuro, he’d think i was crazy and i suppose it was. I had to help my kids though, no one would listen. Mold is no big deal blah blah. How do i get help??? I sympathize with you on your suffering. I too lived in a mold infested building for 5 months. The mold was (and I kid you not) everywhere. After notifying our building management about it we were told that a water restoration company would take care of our problem. No restoration company was called out, it was simply our maintenance man. He had removed the mold he found on our air ducts and baseboards. However, after a few weeks it grew right back, and looked just the like mold in your pictures. We decided that after all the run around or management tried to give us, that we would just call a local mold removal company. Once they came the mold never came back, although we have moved out since then therefore I can’t speak on how it might look now. It was interesting to see someone with such a similar story. Great post, there needs to be more mold awareness posts like this one on the web. Oh yes. We see the problem. Sorry. When you say this person is an international environmental attorney, do you mean helping people with environmental injuries or defending against claims? Sorry, you mis-read my comment. The owner of the Property where the mold was, is an international environmental attorney. That post/comment had nothing to do with your referral to yahoo groups. I think you may be confused. We only send people to two yahoo groups that we trust the owners to help people, Sickbuildings@yahoogroups.com and IEQuality@yahoogroups.com Neither is owned by an environmental attorney. Neither would have the capability to block someone from obtaining an attorney. We can’t tell you what you should do about reporting your landlord for possibly unsafe living conditions. However, if it were us, we’d take pictures and send copies to the landlord along with a polite demand that we would like the moisture problem and reoccurring “black stuff” stopped. There are many landlords out there who really don’t know that mold can be hazardous to one’s health. Before we would report a person, we would first want to make sure that person was aware of the problem, of just not the moisture and “black stuff”, but that it could be causing us harm. Sometimes, that IN WRITING education alone is enough to cause a landlord to act. I posted it before I saw your referrals to Yahoo Gropes. Maybe you can make another suggestion…. Because the owner is an environmental attorney he has blacklisted me from obtaining an attorney. Do you have any suggestions as I have gone ahead and filed the suit myself but am going up against big corporate attorney on this. What does one do when finding an attorney is next to impossible ? Are there any agencies ? Calling the bar associate is of no help as I have already tried to contact the same attorneys they refer to. Sorry to hear of your problems caused by mold and the misinformation in policy. We do not give physician referrals at Katy’s. Our suggestion would be that you join the Yahoo group, Sickbuildings. There are thousands of members who have been through Hell over this issue. They can tell you what they’ve had to do to find a path to wellness. I cant believe I finally found this website and blog. Having endured 14 months of a toxic moldy apt, which was known to the owners before I even moved in, and who by the way… the owner is an international environmental attorney. It killed my dog, destroyed everything I own. Even though I moved out 2 years ago, I have been very ill for the past 3 years from it. I haven’t been able to find a doctor who knows how to deal with this. Every doctor I have gone to diagnoses the separate issues but once they find out about the mold they don’t want anything to do with me. 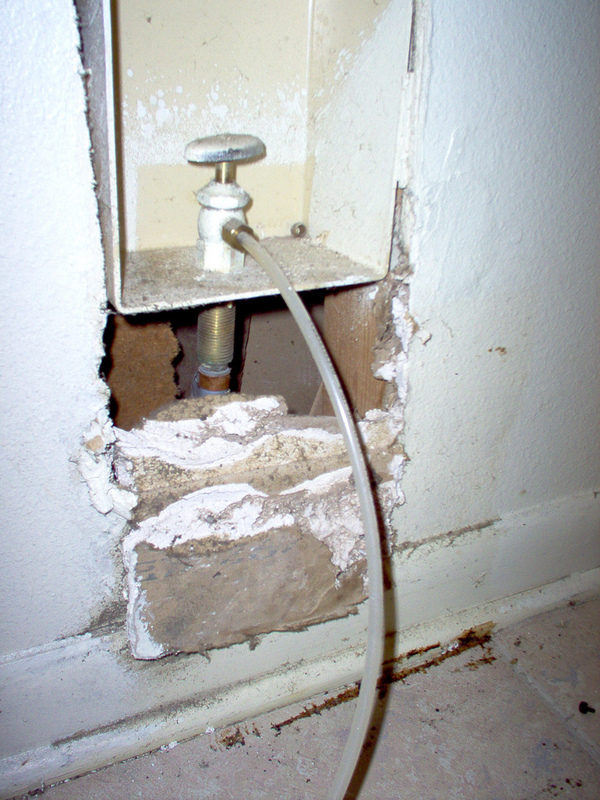 If anyone can refer me to a mold doctor in Southern California I would really appreciate it, as I cant live like this. It would be our suggestion that you join a Yahoo support group, Sickbuildings, to find the lastest info on physicians who treat these illnesses. The group has close to 3000 members from all parts of the US and from other countries. Go to Yahoo! Groups. What doctors diagnosed you? I am looking for a doctor to treat someone exposed to toxic mold. Make sure you document everything and follow up all communication with an “as I understand it letter” so there is an ongoing record of what has occurred. I hope this does not turn out to be a major problem for you. Sometimes problems are easily correctable. If you feel like you need more info, please join a Yahoo group called Sickbuildings. It has 3000 members. Many are knowledgable on various aspects of this issue. I would call my health dept.We have a condo in Fl.and we got new doors,management had to go to each unit with the installer,this was at best 5 weeks ago.I had my cleaning lady check the condo because we will be there in nov..She said that the condo was cool,air running,floors dry.She said that my leather sofa and love seat has black mold all over,also my blinds in the living room.I have just friday heard from the management co.I asked him why he did not call me,his response was we went on vacation.I AM SO MAD,tomorrow i will have to call the management co ,perhaps they need more responsible people working for them.So for 5 weeks the mold could keep on growing.We dont know where this mold came from,we do know that the condo is above us had been covert in mold ,can it somehow get down to us?Could it come in with the air conditioner?On thing is a fact,would we have known this 5 weeks ago ,we would not be talking now.We have no airducts. HI, thank you for posting this. I am so sorry you and your loved ones had to go through this. I, too, an sick from mould; however, I’ve just managed to move out of the house but still have all my things there because I didn’t want to bring them with me just yet. I’m washing and putting most in the sun, but anything that has that mould smell is being thrown out. It’s weird but I couldn’t smell it until after I moved out. I had MCS before I moved in, but now it’s so much worse. People who need to move out, must get a doctors letter if they are facing difficulty with their landlords. This is justification to move out. Especially when children are involved. I hope you are all safe (or at least safer) now. Yes there is something that can be done. Leave a papertrail. Whatever you send to the respective people, landlord, agencies, keep a copy for yourself. Secondly, get a published copy of your rental lease, and explore all your rights and options. 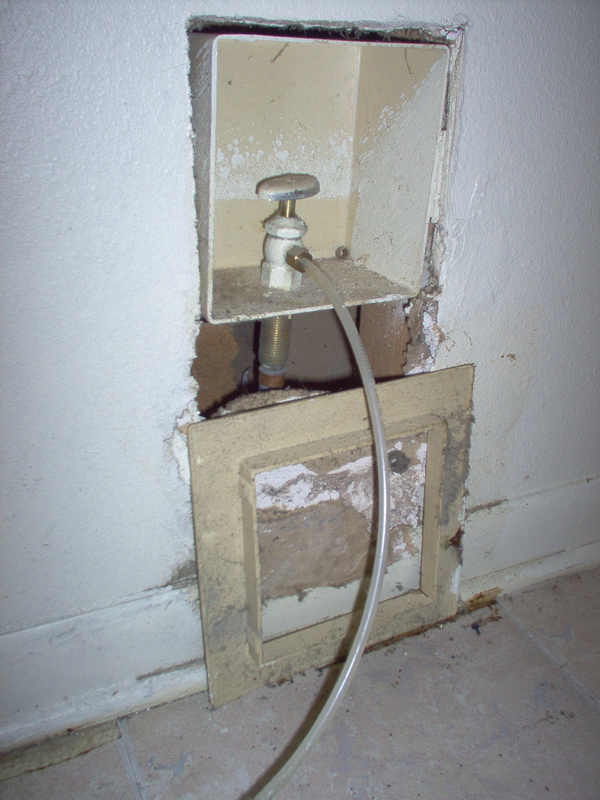 Also, get a copy of your states landlord and tenants rights and responsibilites, might be called something different in your state but its available, and normally free.sOMEWHERE in your research it should tell you about holding over the rent for legitimate claims an/or concerns regarding the accumulation of molds and toxins. Again everything must be documented on to why you are holding over, and every time you submit for maintenance and service documeNT. DOCUMENT. and my dad use to say a person, company will do better or something when the problem stays within your home or community. I guess that meant when there is a problem existing, then expose it or those that allow it to continue. Federal and regulations and state agencies have the authority, right and responsibilities to ensure that we dwell in a safe, hazard free toxin free, and habitable place. If they choose to ignore and do nothing as well they are just as guilty and responsible. Hope this helps. You must be diligent and be verbal. Contact the media, other agency, and your local council members, Get coverage! No one especially babies need to be in a environment that allows this to occur and be damaged for life even though sometimes these problems don’t surface for years. Have you read or seen the movie/book Erin Brockowitz. I suggust you do and Good Luck. You are wise to move out, especially with being pregnant. As far as contacting anyone, if it were me I would take pictures of the mold, describe your symptoms and send it to the local health department via registered letter. Upon leaving and severing all ties, I would also send a registered letter to the landlord with the pictures of the mold and describing the symptoms you experienced, via registered letter. That puts him on notice that there is documentation he knew of the hazardous condition before he rented it – which may cause him to clean it up before renting again with increased risk for liability. That also puts the health department on alert that they, too, may have liability if he does it again. My fiancee and I are currently living in a home which is completely infested with several toxic molds. For Months and months I have literally bleached everything in my home to get rid of this mold but it comes back with a vengeance every time. We have had to get rid of tons of clothing, bedding, a large sum of collectors comic books, pictures and even our couches. I have spoken to the landlord about this situation as we were tenants here and he has refused to do anything about it. We are now having serious health issues and since I am pregnant, we have made the decision to move. I am afraid however, that the landlord will do nothing about this problem and allow someone else to move in here and unknowingly become exposed to this health hazard, or worse a child. Is there someone I can contact on this issue?